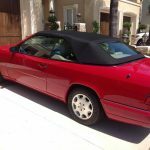 In my long affinity for the Mercedes-Benz W124 Cabriolet, I have featured all kinds of examples. Rare color ones, expensive ones and even ones with V8s swapped into them. So naturally when I come across one in my cruise around the internet, I usually take a quick peek at it. Today’s W124 Cabriolets, a Signal Red example for sale in California and a black one listed in Connecticut, are both prime examples of these amazing drop top cruisers. 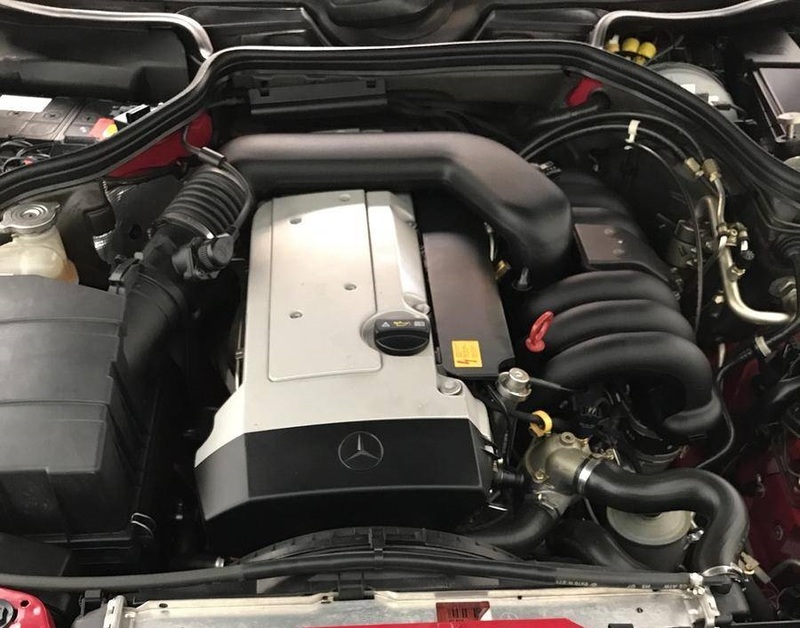 You’d probably have a tough time finding any faults at all on either of these cars, but what if I told you that one was literally twice the price as the other? Yes, I’m serious. 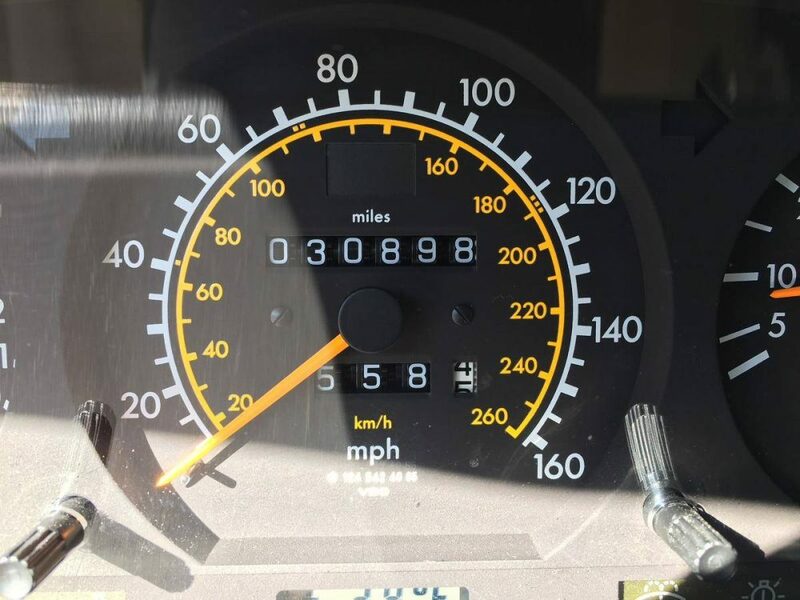 This example checks in at a mere 6,420 miles and if I had to guess, is probably one of those cars that is a true time capsule. 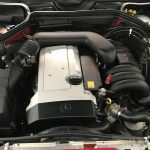 But it is hard to actually prove that because of the lack of photos and information about the car. Zero interior photos, no information about the maintenance history and the photos we do see, are just a bunch of random shots in the (very nice) driveway. I’ve said this before, I don’t understand why people make it harder for you to buy something from them. 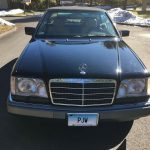 Yes, I understand the kind of people who can afford to let one of these cars sit in a garage without blinking an eye at it probably have more important things going on, but the minimal effort is probably going to bring minimal results unless you have something really special. Which brings me to the price. 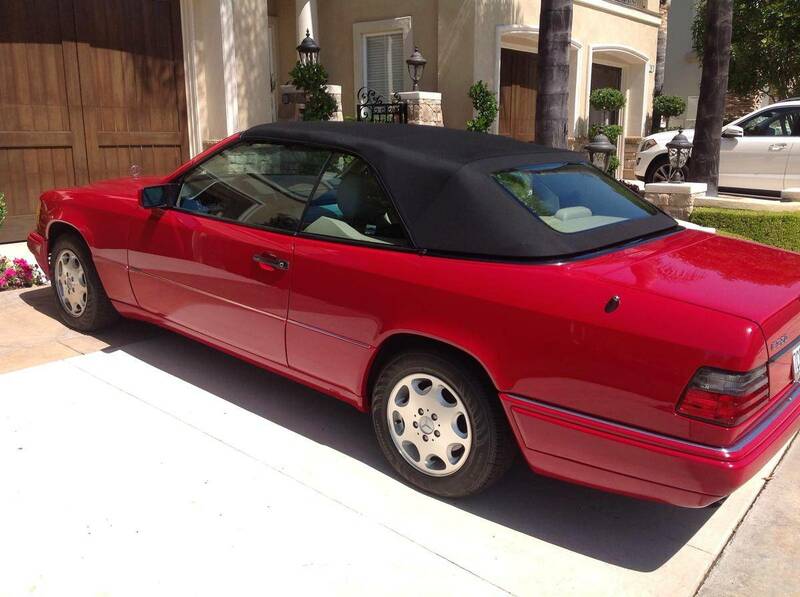 I don’t need to tell you that $49,500 is a lot of money for a W124 Cabriolet. As crazy this is, this isn’t the first time we’ve seen insane prices for these things. 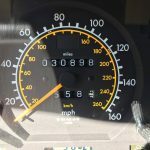 Just a month ago I looked at a 1994 with 6,700 miles for $64,499. 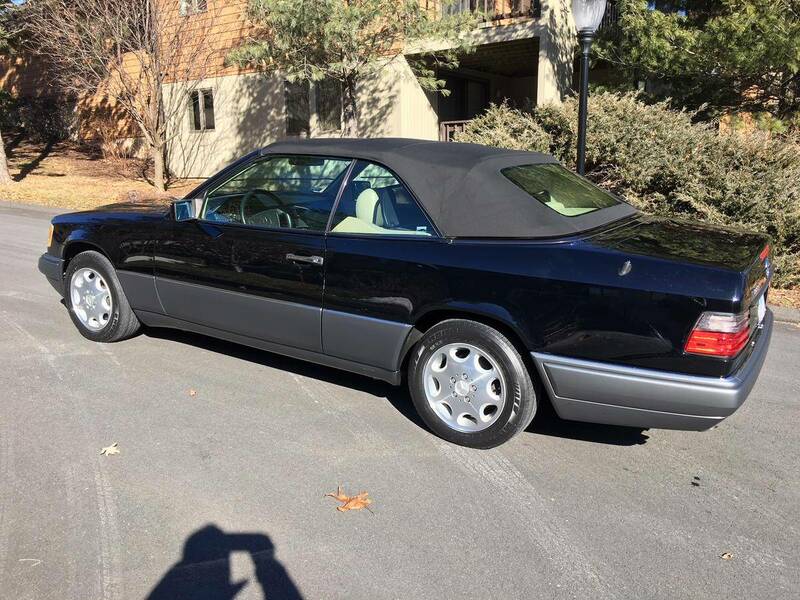 That seller probably isn’t thrilled to see this 1995 listed for $15,000 less because honestly, how many buyers are there for a $50,000 W124 Cabriolet? Low miles be damned, this is an outrageous amount of money for a model that probably has reached its ceiling in the market. But what if you can have almost the same condition car, for half the price? 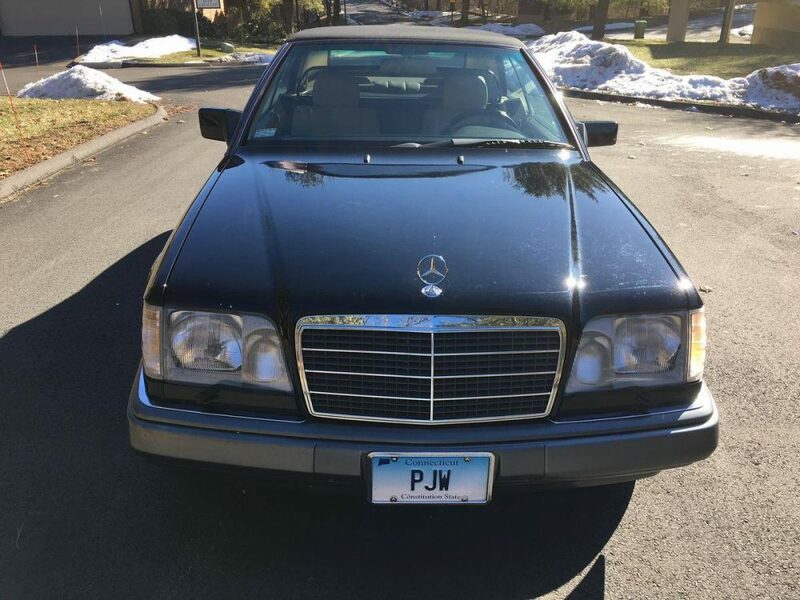 This black 1995 checks in from Connecticut with still a really low 30,828 miles. 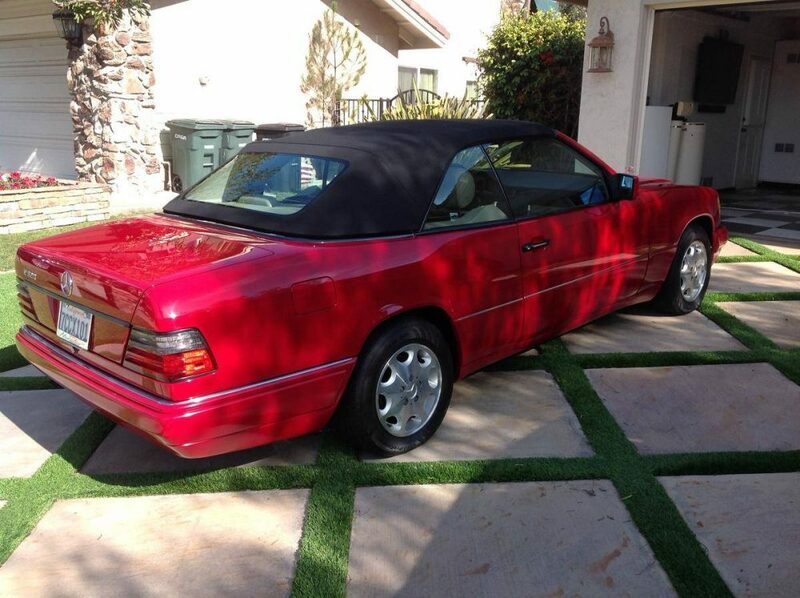 The condition looks great, but maybe not as great as the California car. 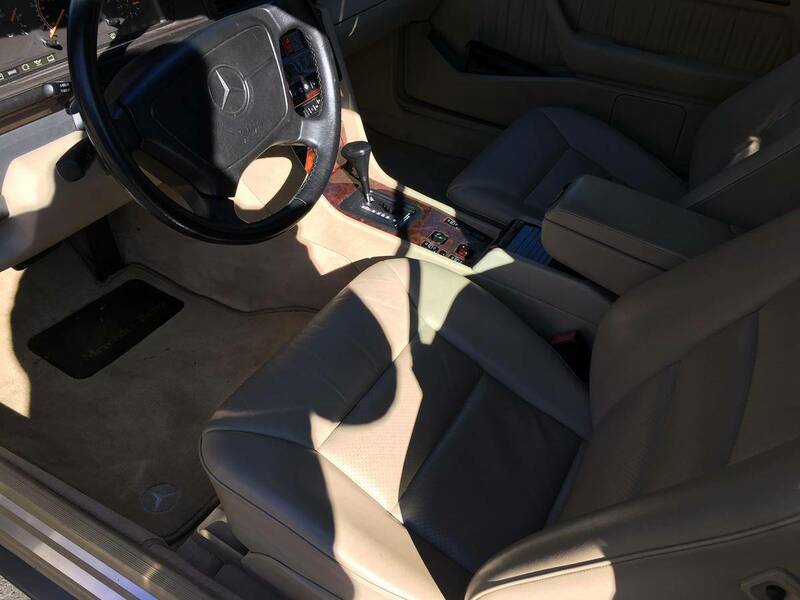 The paint looks to have a ton of fine scratches and swirl marks in the direct sun and the interior probably would benefit from a good deep cleaning of the carpets. The main thing here is that everything can be fixed in a day or two and nothing majorly is out-of-place. But once again, we have literally one sentence about the condition of the car and a bunch of random photos that are made worse by shadows. There must be something in common about the owners of these cars. 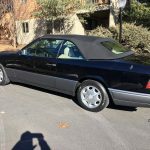 1995 Mercedes Benz E320 Cabriolet- Black with Parchment Leather, 30,800 miles,excellent condition, non smoker, needs nothing, One of the lowest mileage E320 Cabriolet’s in the country!!! 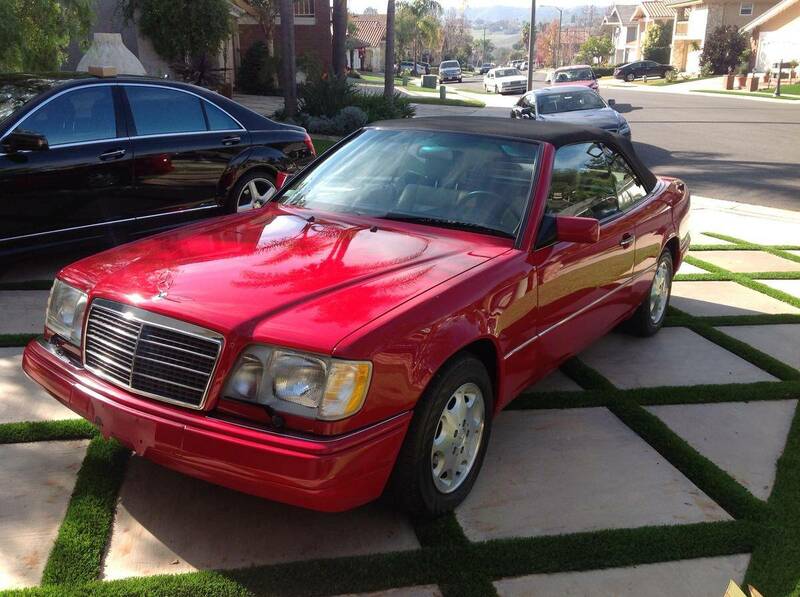 This seller is only asking $24,500, which seems like a bargain compared to the Signal Red example. I say ”only” like it is cheap or something, but this is still expensive for one of these. You can factor in that a black cabriolet probably isn’t as attractive to most people and I probably agree, but it isn’t the end of the world for me. Considering what others are asking, this probably isn’t a bad deal at all if you put the prices vs. mileage on a scale. As long as you fix the paint and no other surprises pop up, I think you’d probably be OK in terms of value for your money with this one. Which one would I buy? Neither, of course. 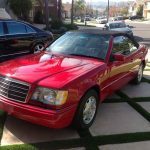 I’m fully on board with buying an example with over 100,000 miles for $10,000-15,000 and calling it a day. I’m not going to enjoy it three times or five times as much just because the number on the odometer is lower. Some might, but condition trumps all for me and getting the most out of money is a major factor for me. The other reason I wouldn’t buy these cars is because I have to put in effort to buy them. 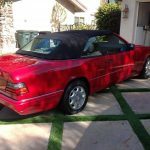 If I’m a person who can freely spend $25,000 to $50,000 on a niche Mercedes-Benz convertible from the 1990s, I don’t want to ”work” to buy it. I don’t want to call the person on the phone, have them vaguely explain to me about the condition of the car and try to figure if they are being truthful or not. I don’t want to waste time trying to schedule a pre-purchase inspection around people’s schedules and my own, only to again guess if the car is actually as good as it should be. I want someone to present me with 100+ photos, show me all the maintenance records and have the opportunity to buy the car with a couple clicks from my chair. That is the kind of service buyers of these cars at this price level should expect and this is why these cars sit for sale much longer than they should. Sellers don’t care, buyers can’t be bothered and everyone else watches and shakes their heads. 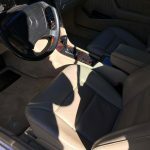 Tagged 1995, C124, Cabriolet, Double Take, E320, M104, Mercedes Benz, w124. These things are all over the map in terms of pricing. I almost bought one with 65k miles for 10,000. The market hasn’t stabilized at all yet. Anyone that would consider buying after seeing 100 plus photos and thinks photos and maintenance records are enough to purchase from a chair is out there to say the least. Good old dialogue is still required, and yes until you determine buy actually going to see and inspect the actual vehicle and records you just donâ€™t know.